Aaryn Eady grew up in Fort Wayne, IN and joined the Voices of Unity Youth Choir when she was 11 years old. Aaryn was involved with the choir for 7 years through high school; she graduated from Homestead High School in 2011 and went to Indiana University in Bloomington, IN. During her time at IU, Aaryn was very involved at the Boys & Girls Club as a volunteer reading mentor with a program called Read to Succeed. Aaryn continued to volunteer as a mentor and in 2013 became the Student Coordinator over that program. In 2016, Aaryn graduated from IU with a Bachelor of Science Degree in Human Biology with Minors in Spanish, Public Health, and Chemistry. She became a full-time staff of the Boys & Girls Club as Program Director in 2016 and was responsible for the design, implementation and expansion of youth development programs. Additionally, Aaryn was the first Program Director of the new Crestmont Boys & Girls Club facility that opened in October of 2017 in Bloomington, IN. Aaryn relocated back to Fort Wayne in 2018 and became the Program Coordinator for UNITY Performing Arts Foundation. In her role, she oversees the design and planning of new youth programs. 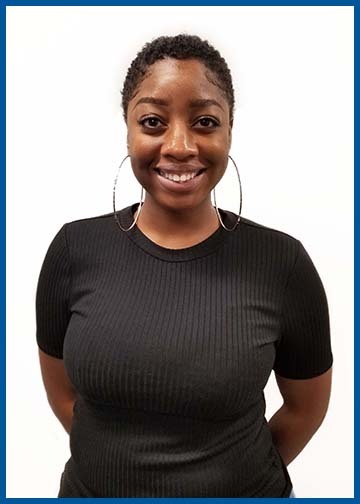 As an alumna of Voices of Unity, Aaryn is proud to honor UNITY’s pledge by utilizing her professional and personal talents and skills to “give back” to the organization.